Are You the Victim of an Affair? Shock – that your partner could do this to you after a long relationship, love and children together. Denial – that the person you thought you knew could do such a thing. It couldn’t possibly be true? Sadness – that there is nothing you can do to change what has happened and that you have found out. The disappointment that this horrible burden of knowledge will never go away again, or leave your heart. Anger – for the pain you are feeling, for the embarrassment, for the lies you fell for. If you are at the end of these stages, or just at the beginning, Love-Rat.co.uk are here to help and get some answers for you. We’re here to help you have the final say and share your story publicly in a magazine. Not only can you help those going through a similar situation, we’ll ensure you get paid the most money possible for your story. Our service is free to you. Simply fill out the story valuation form on this page (just provide a few basic details of your story) and we’ll let you know what it’s worth. There’s no obligation and nothing will be used without your permission. One thing we know from working with victims of infidelity, love-rats or con-artists, is that ANYONE can be affected, no matter your age or background. Whether you want to rat on your cheating partner, or get some straight answers out of them, we can lend you a helping hand. We’ll contact your partner for you and put them on the spot to find out why the really did it. You’ll also finally get your chance to tell your side of things, and tell the world what they are really like. Magazines pay generously for love cheat stories because many people are too shy or too embarrassed to tell their story. You can make a LOT of money out of this. Possibly a nest-egg to start your life again. Let us help you to do that. Why tell the world about my partner’s Affair? Do you want to protect others from the same fate as you? Do you want money as compensation for the hurt you are feeling right now? Do you want to be able to close that chapter of your life and move on having had the final say? Do you want to expose the truth to his/her friends and family who think butter wouldn’t melt in their mouth? Do you want to unburden your problems to a receptive audience? Do you want to make him see what he is missing or see what he has done, or perhaps simply get revenge? Do you want him/her to hear the distress you’ve been put through – without them hanging up on you? Do you want to support those going through the same thing as you? Contact us using the Story Valuation form on this page. For more information see the Sell My Love Rat Story page. 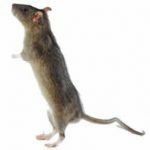 If you’ve been affected by a Foreign Love Rat, see the Sell My Foreign Love Rat Story page. Have you had, or are you in an Affair? Have you had, or are you having an affair? Would you like to send out a public apology or tell your side of the story? We don’t just want to hear from victims of love rats. Whatever your reason for embarking on this whirlwind romance, we don’t need to be the ones to tell you that this is wrong. Risking everything with those you love. You may have felt desire for someone after the disappointment in your relationship, or become attached to someone when you were vulnerable and at a low-point in your life. Whatever the case, attraction just happens, and often leads to more heartache. We are here to help. Sometimes it’s not too late to repair the damage and set things straight by telling your story. This would be in all of your own words, put together for you by an experienced features writer from our nationally-recognised press agency, and read back to you in full before being printed. If you regret what you did, and want to explain that it black and white, or whether your affair was the best thing you ever did – we are here to help.